And no doubt about it, everyone who has ever shown or trained horses has, at one time or another, stretched the boundaries. 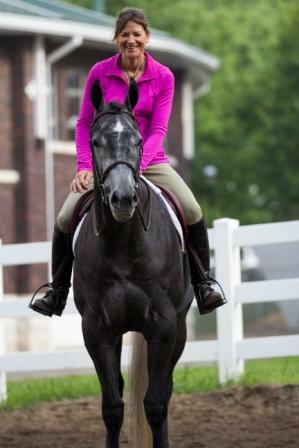 There are times when a rider simply must push – partly to determine whether resistance from the horse is due to pain, lack of knowledge or a side effect of simple arrogance and sometimes, just to make the point. Riders make tough decisions every day – do you enter a class intending to school then find it hard to let loose of the chance to win another prize? 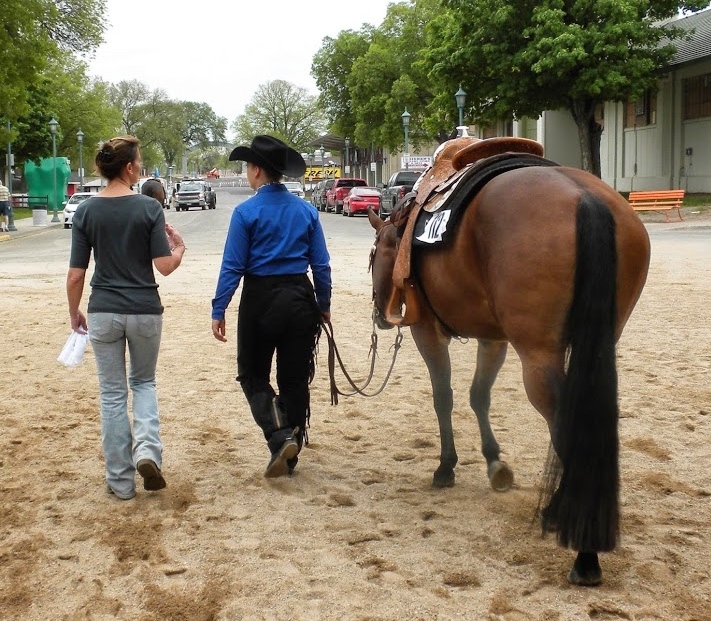 Maybe you are trying to decide between entering another class to go for the all-around or rewarding your horse for a hard day’s ride by leaving him alone and letting your horse get his legs back. Or the decision can be as simple as whether or not to ask for one more departure, take one more jump or ask for one more spin. At the time the decision seems insignificant. However, the long-term benefit or harm that results from the decision is often only realized later. Ears that start to come back when they see you enter the stall, stiff and sore joints, deteriorating movement or disinterest are all signs of resentment. Bad behavior soon follows. Sometimes the horses let us know that we made a bad decision right away – other situational results occur over time. The trick for any horsemen is to always do right by the horse, to put aside our desires as goal oriented riders and do what’s best for the horse, long-term. The hardest decisions usually come at the end of the day or the end of the ride. Think how often you have said one more time only to have your ride deteriorate – sometimes destroying the day’s progress. Prideful horses often present the toughest circumstances but each personality comes with its own challenges. Determining when the arrogant horse needs to be pressed, when the weak horse needs to be left alone or when the timid horse needs extra guidance is the most difficult aspect of becoming a good horseman. Every time you step into the saddle, you are acting as a trainer. It is up to you to decide when to press and when to stop. For the horse, their only reward comes when you stop, when you let go, when you release. Horses don’t have goals beyond eating and avoiding threats to their existence. Their docile behavior allows them to be easily domesticated but horses’ behavior is still determined by environmental factors – contact with people. Sometimes it is the very nature of the horse that makes decision making difficult. Horses with very passive personalities allow us to do all sorts of crazy things and willingly go along for another ride, another class or another trick. The stoic nature of some horses makes it difficult to determine just how much discomfort they may be living with while others limp as soon as the see a halter coming their way. 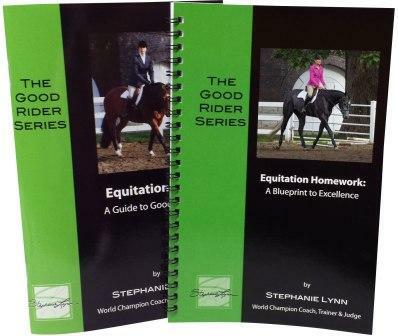 Finding the balance between a rider’s goals and the limits of the horse is an everyday exercise for the horseman. For the greatest among us, it is their reason for being. Understanding horses’ behavior is the essence of becoming a horseman. Those who put the needs of the horse in front of their personal goals become the greatest horsemen. They finish with the greatest gain and satisfaction – knowledge that they have kept the best horse for another day. It is not coincidence that these people usually garner the most awards – they understand the ultimate goal is to always do what is in the horse’s best interest. They save their horse for their biggest rides. Regardless of where your biggest ride may be, you can always do right by the horse by listening and learning from the reactions of your horse. Keep your goals in perspective and never let goals override your principles.